The world has moved from operating in analog to digital, from accessing information in a single location to cloud-based global accessibility. Yet, education has lagged behind sectors in being re-imagined for this new age. This is the challenge that the PowerCards team has taken up. 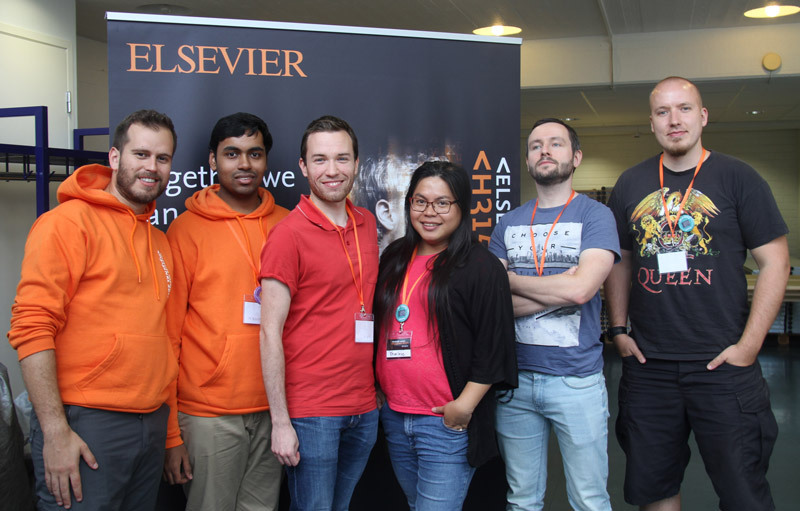 The process started at Elsevier Hacks where our team developed a solution for computer-based study material creation that represented a decisive leap in usability for health professional students. Since the hack the team, full of belief in our thesis after being awarded 3rd place, has continued to continue to explore the problem facing medical students as they individually struggle to make their own study materials to aid in memorizing the tremendous amount of information they are responsible for. Through group calls, research, and ideating, we recalled the judges’ feedback from the hackathon and pointed out directions for further development and improvements. As a result of this effort, our solution has evolved into a unified personal study platform that will function as a one-stop-shop for students across all their devices. Critically, this platform will seamlessly synthesize with current online content repositories, such as ClinicalKey, bringing their utility for students to new levels and provide unprecedented insight how how students actually use content to prepare for exams that will actively aid the development of automated adaptive learning medical education systems. We see the incubation program as a unique and once-in-a-lifetime opportunity. Without exception, all six team members engaged and expressed thoughts and potential contribution to the project in the programme, however two of our team members were hired for new jobs so only four of us could commit to join. Through the upcoming three months we will get hands-on experience in how it feels to be an entrepreneur and to build our own business. None of our team members are from the same country and cultural background, which is equally a challenge as much as an opportunity. We believe that the programme will provide us great experience in the entrepreneurial mindset, cultural gaps as well as self-management. Our goal through this process is to create a remarkable and valuable product for medical students, medical educators, and content providers. We as a team and individuals promise to represent our profession and own culture on the highest level of professionalism. The open-ended nature of the problem we are addressing creates a large space for development and possible collaboration with individuals and organizations across vast universe of medical education! What excites us is that our product is built to solve problems for the medical students of today while actively helping to shape the educational experience of tomorrow.